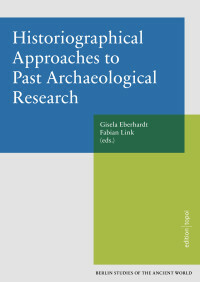 Writing the history of archaeology has become increasingly diverse in recent years due to developments in the historiography of the sciences and the humanities. A move away from hagiography and presentations of scientific processes as an inevitable progression has been requested in this context. Historians of archaeology have begun to utilize approved and new historiographical concepts to trace how archaeological knowledge has been acquired as well as to reflect on the historical conditions and contexts in which knowledge has been generated. This volume seeks to contribute to this trend. By linking theories and models with case studies from the nineteenth and twentieth century, the authors illuminate implications of communication on archaeological knowledge and scrutinize routines of early archaeological practices. The usefulness of different approaches such as narratological concepts or the concepts of habitus is thus considered.